Murkowski accepts climate change. What will she do about it? Sen. Lisa Murkowski is one of the few Republicans in Congress who goes out of her way to talk about climate change and says we need to reduce emissions. On climate, the Republican senator stands to the left of her party, as she does on abortion and health care. But climate advocates say her deeds don’t match her words. Climate change wasn’t always so partisan. There’s this goofy ad from 2008. It shows former Speaker of the U.S. House Newt Gingrich, a Republican, and then-Speaker Nancy Pelosi, a Democrat, sitting on a loveseat in front of the Capitol. It wasn’t just Gingrich. Back in the mid-2000s, Republican senators like Richard Lugar and Lindsey Graham called for climate action. John McCain made it part of his 2008 campaign for the White House. In 2009 it seemed like a bill to limit greenhouse gas emissions had a real chance. That summer, the Democratic-controlled House passed a cap-and-trade bill. (That’s where the government would put a limit on greenhouse gas emissions and let industries buy and sell the rights to send CO2 and other gases into the atmosphere. The idea is, if it cost money to emit, companies will cut back.) A bipartisan group in the Senate was working on a compromise version. But she wasn’t on board. “When we talk about what we’re going to be doing to reduce our emissions, we also need to be stressing our energy independence in this nation,” she said in a 2009 interview on C-SPAN. And the key to energy independence, Murkowski said, is increasing domestic oil and gas production, along with renewables and nuclear power. A Reuters reporter tried to pin her down. What if a bill expanded nuclear power, offshore drilling and renewables AND capped carbon emissions?” Would she vote for it? “It depends how the cap-and-trade piece is structured. Because I have noted on several occasions, I am quite concerned about how, through the process or the procedure that would be put in place, there’s opportunity for manipulation out there that I think we need to be very, very careful about,” Murkowski said. She went on to detail other reservations. In short, she wouldn’t be pinned down. Murkowski does passionately support money for energy innovation. But what she has always resisted is a tax on fossil fuels, or any regulation of carbon that she says would damage the American economy. “We’re not just going to be able to shut the whole thing down and say ‘this is what we have to do to save the planet,’” she said back then. In other words, her climate solutions are all carrot, no stick. And really, who likes sticks? Murkowski says raising the cost of energy would hit especially hard in Alaska, where power and fuel prices are already in the stratosphere. In the end, the 2009 cap-and-trade bill fizzled in the Senate, and in the decade since, no carbon regulation bill has gotten anywhere near the finish line. And Murkowski hasn’t pressed for one. In fact, when Obama’s EPA moved to regulate carbon, she led the charge to derail it. “It’s pretty clearly, for a decade now, just been talk,” Joe Romm said of Murkowski’s stance on climate. Romm writes a climate blog. He’s a former deputy secretary of Energy from the Clinton administration. He said Murkowski’s carrots-only approach is not a solution because it’s too slow to prevent catastrophic warming. “And every time she’s had a chance to actually take some serious action to deal with climate change, she has either done nothing or been an outright opponent,” he said. Romm said Murkowski seems to be following an old Republican playbook. 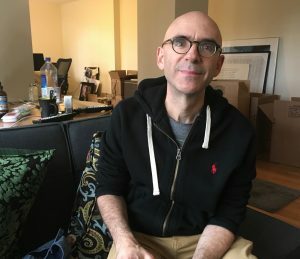 If limiting or taxing greenhouse gases would hurt the economy, Romm says letting the planet warm out of control is even more expensive, with wildfires, storms and real estate lost to the sea. In other words, Romm said, climate change is an issue where extreme moderation won’t do. What we need, he said, is real action, and to him, that means limiting greenhouse gas emissions. 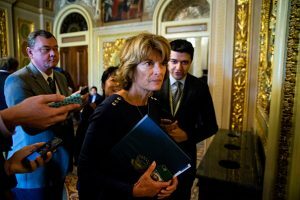 Sen. Murkowski declined our requests for an interview focused on climate change. But we did have a chance to ask her whether she might support cap-and-trade again, or any policy that seeks to put a price on carbon. Murkowski said a national policy raising the cost of energy would be bad for people in Alaska villages, like the struggling mom she met this year in Aniak, who already pays a fortune for heating oil. “I can’t go back to her and say, ‘for purposes of a national policy, I’m sorry, we’re going to have to increase what you’re paying,'” Murkowski said. She didn’t exactly say no. But bottom line: Murkowski isn’t pushing to regulate or limit CO2. So if that’s how you define taking action on climate, Murkowski doesn’t support it. This story is adapted from Episode 2 of the podcast Midnight Oil: The Big Thaw. Subscribe on iTunes, NPR One or wherever you get your podcasts.